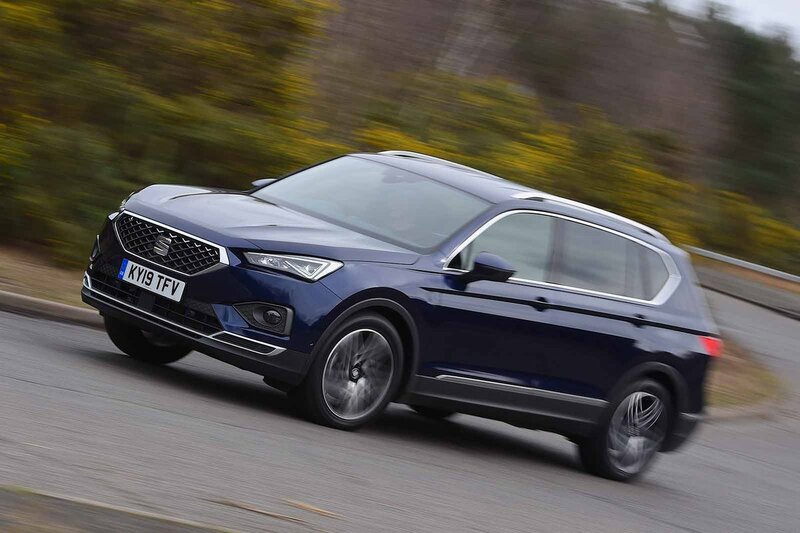 Seat Tarraco Interior, Sat Nav, Dashboard | What Car? 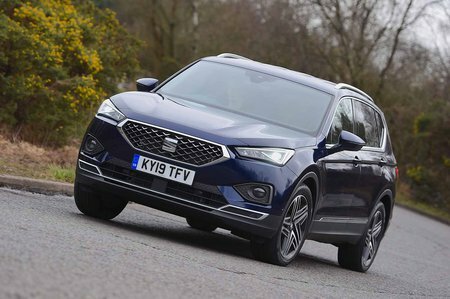 You sit relatively high in the Tarraco, looking down on people in hatchbacks and smaller SUVs such as the Seat Arona and Ateca. If you pull up alongside a Range Rover, though, you suddenly feel quite small again. There’s plenty of adjustment in the steering wheel and seat to let you set up everything just how you like it; even adjustable lumbar support is standard. The dashboard is logically laid out, too, with big, clearly labelled buttons and knobs for the climate control. However, the configurable digital instruments could be easier to read at a glance; no matter which setting you select, the speedo isn’t especially prominent. Your view of the road ahead is excellent and, while bulky rear pillars compromise over-the-shoulder vision, all Tarracos have rear parking sensors to help with manoeuvring. In addition, a rear-view camera and front parking sensors are standard on Xcellence and Xcellence Lux trims. 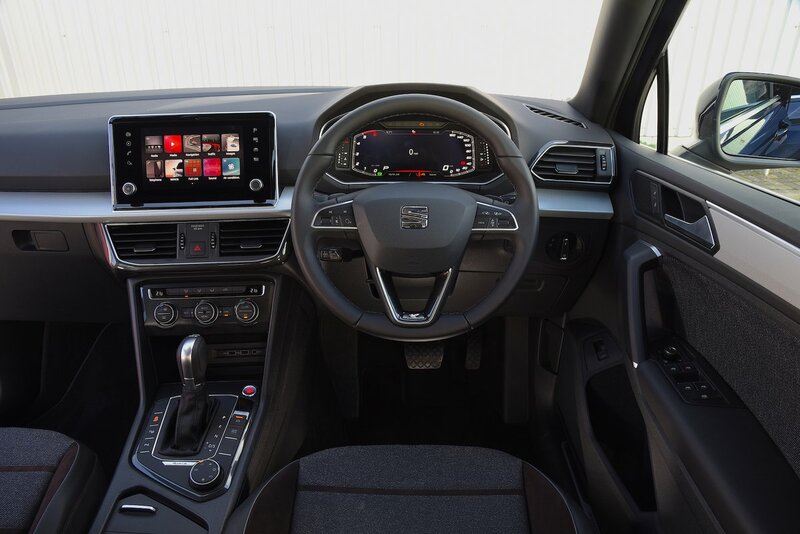 An 8.0in touchscreen with DAB radio and Apple CarPlay and Android Auto smartphone integration is standard on all trims, with sat-nav included on all but entry-level SE. This system has quite a number of menus and sub-menus that might take some learning, but there’s barely any delay between you pressing the screen and it responding. However, the touchscreen is more distracting to use when you’re driving than the rotary dial controller fitted to the rival Mazda CX-5. The Tarraco’s interior may not look as special as the Peugeot 5008’s, but it’s a definite step up from that of other Seats, such as the Ateca. Its tactile, soft-touch materials are comparable with those found in the Skoda Kodiaq and Volkswagen Tiguan Allspace. If you search for them, you’ll find some hard, cheaper-feeling plastics, but they’re generally restricted to low-down places and away from the areas you regularly touch. The buttons and switches, meanwhile, are all nicely damped and a pleasure to use.